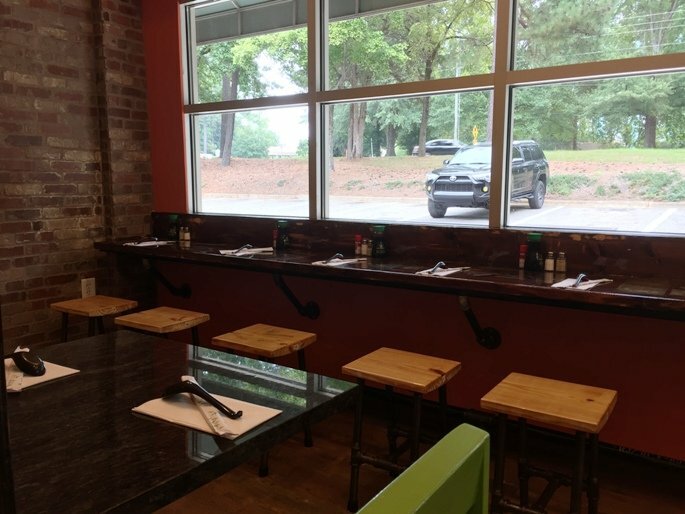 Located on the north end of busy Wilmington Street in downtown Raleigh, Tonbo Ramen is built in traditional Japanese fashion! Ramen shop on the 1st floor and a second entrance for the izakaya (Japanese for pub), upstairs. 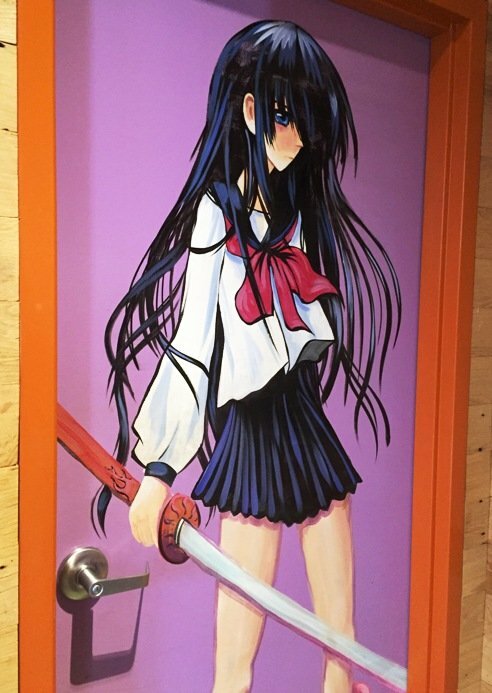 The ramen shop on the 1st floor strikes a nice blend of old and new. 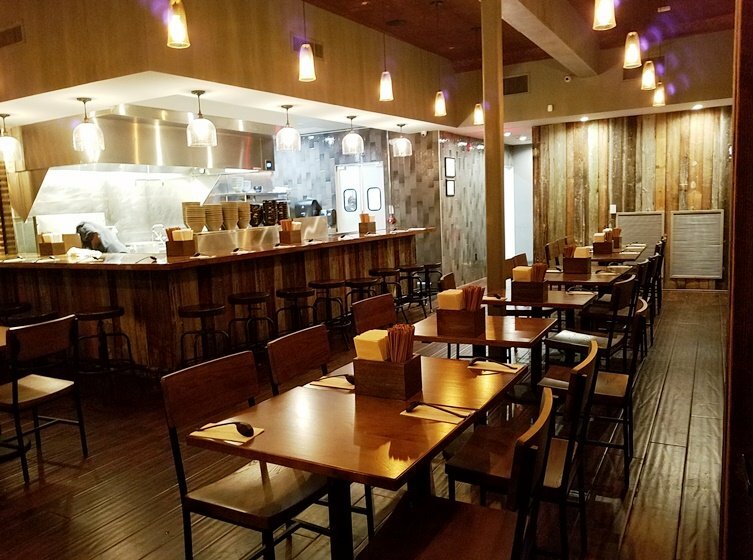 Weathered wood on the walls, along with metal stools lined around the ramen bar with big steaming pots of broth bubbling in back. The glowing pendant lights overhead make for a warm and comfortable scene here, perfect for slurping down some soup! 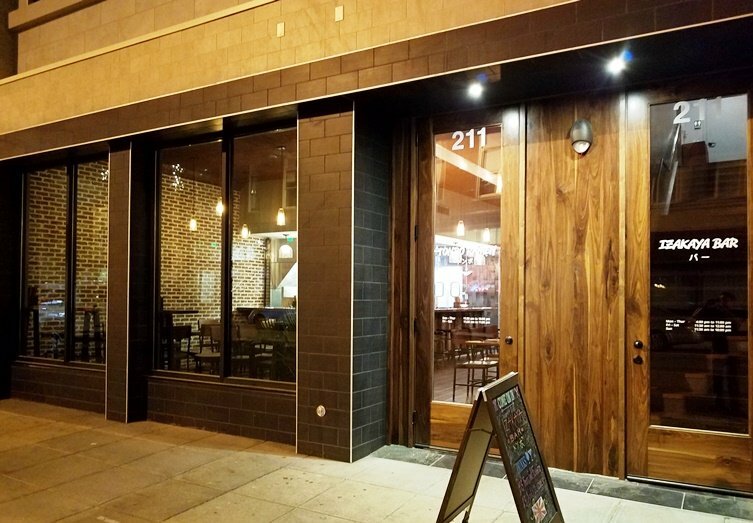 But as much as I like the design of the ramen shop on the 1st floor, you’re probably better off eating at the izakaya upstairs. 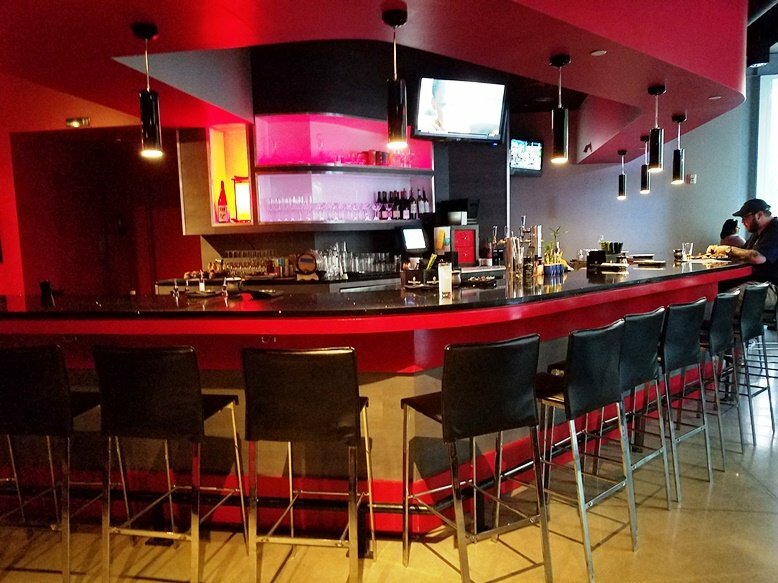 Tonbo Ramen offers up two different menus (ramen vs. small plates-bar food) and while both menus are available upstairs at the izakaya, you’re limited to ramen downstairs. 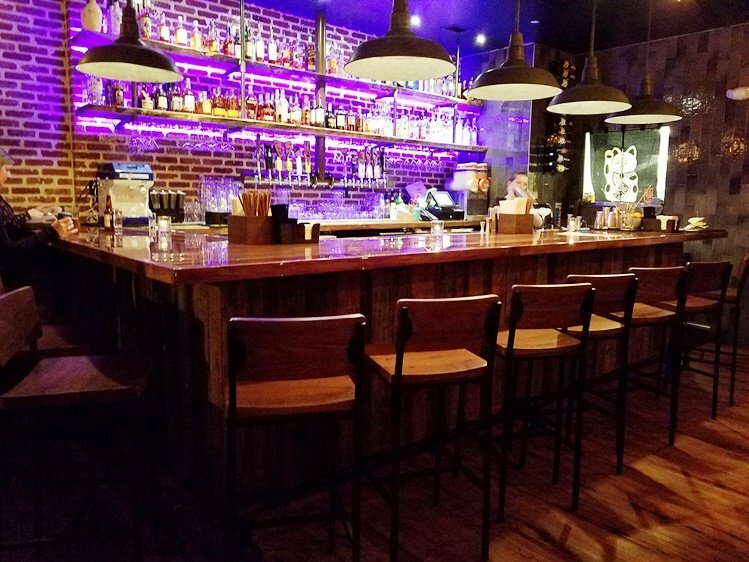 Upstairs at the izakaya, Tonbo Ramen gets a lot more modern with a glam bar highlighted by purple lighting. There’s also another small kitchen here, pumping out small plates and snacks as bar food. 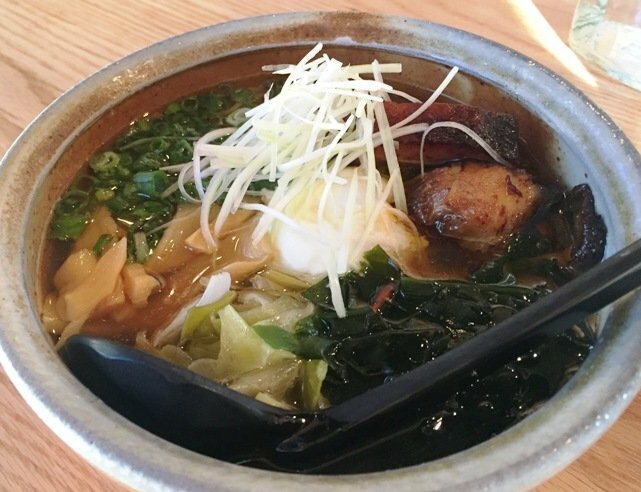 Tonbo’s ramen menu offers up 8 or so classic bowls ranging from shio (salt-base), shoyu (soy sauce-base) to tonkotsu (pork bone base). 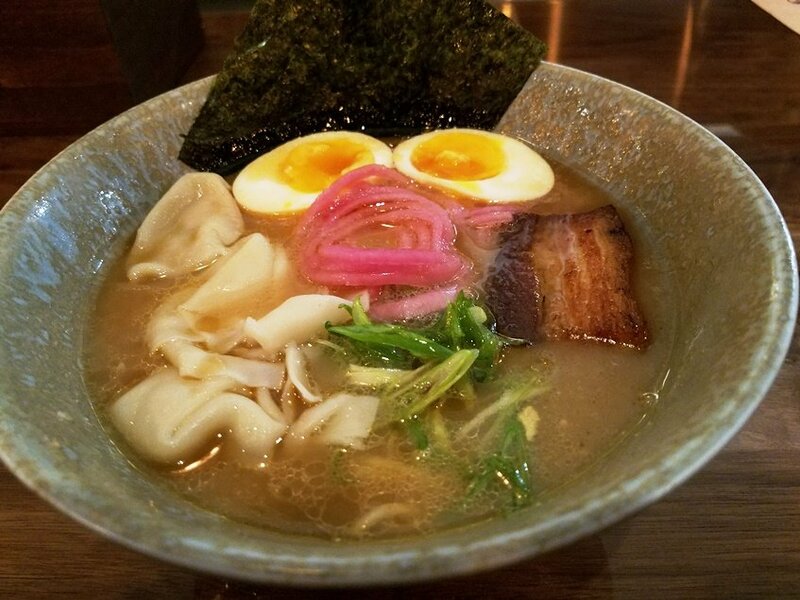 You can customize your ramen with extras such as pork belly, soy-marinated eggs, mushrooms, meatballs and more. The izakaya menu focuses on buns, fried meats along with yakimono (grilled skewers). 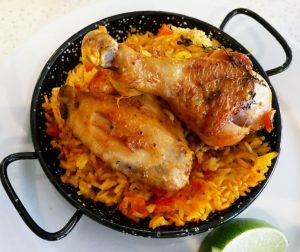 Pretty much everything on Tonbo’s menu is $4 to $15, very affordable! A decent selection of beers, wine, sake and cocktails gives you some good drinking options to go along with your meal. 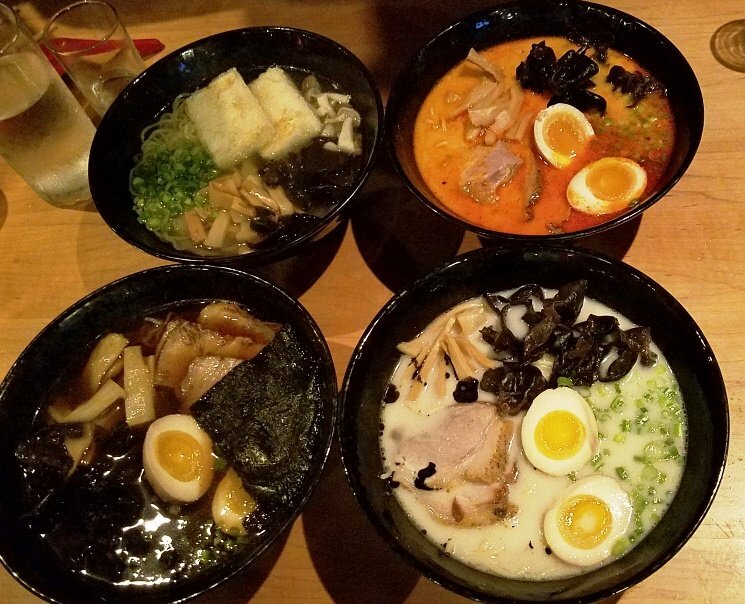 Over the course of my three visits to Tonbo Ramen, I’ve had quite a bit off their menu and it’s all really good. Some favorites of mine include the warm cauliflower salad and karaage chicken ($6). 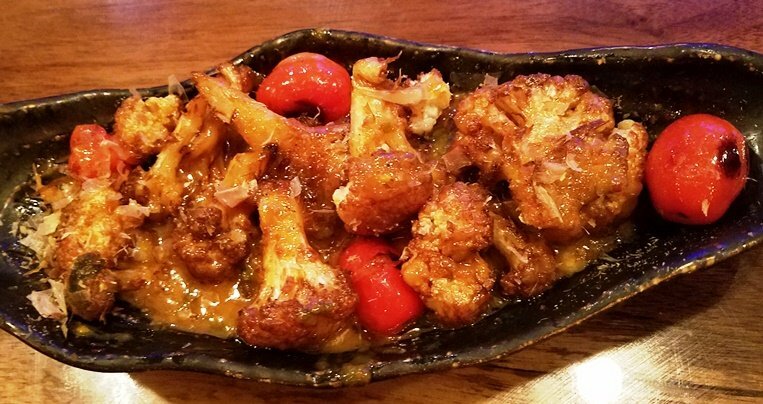 The cauliflower salad is not really a salad but just plain delicious sauteed florets in a savory sauce with seared tomatoes, yum! And if you haven’t had karaage before, think flash-fried pieces of dark chicken meat in a crunchy, starchy coating. Dipped into the aioli-like sauce, it’s wonderfully satisfying and tasty. 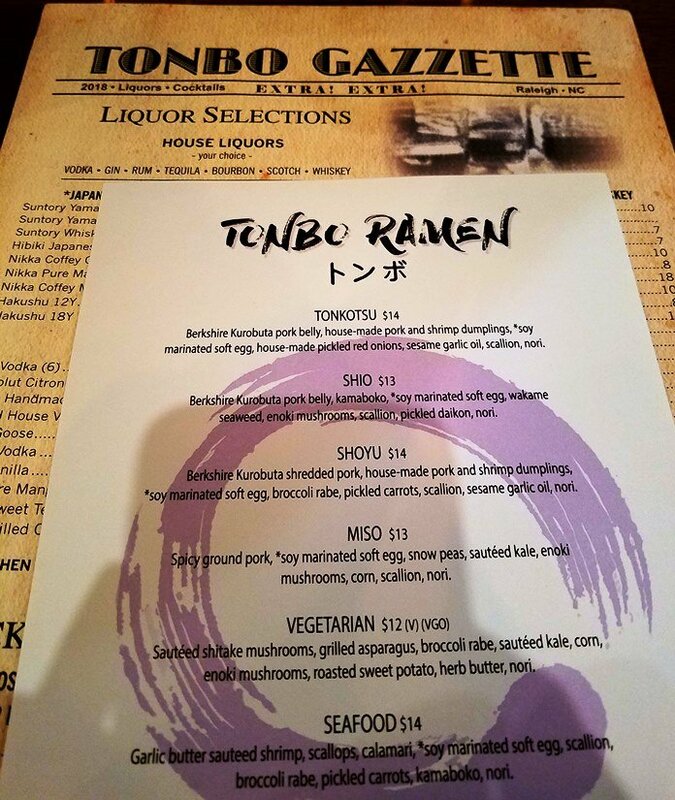 But of course, you shouldn’t visit Tonbo without trying the noodle side of the menu. And while it’s definitely a good bowl of ramen, Tonbo blings things out a bit with extras. My bowl of tonkotsu ramen seems a bit small (bowl diameter) but it’s deep and there’s plenty to eat. 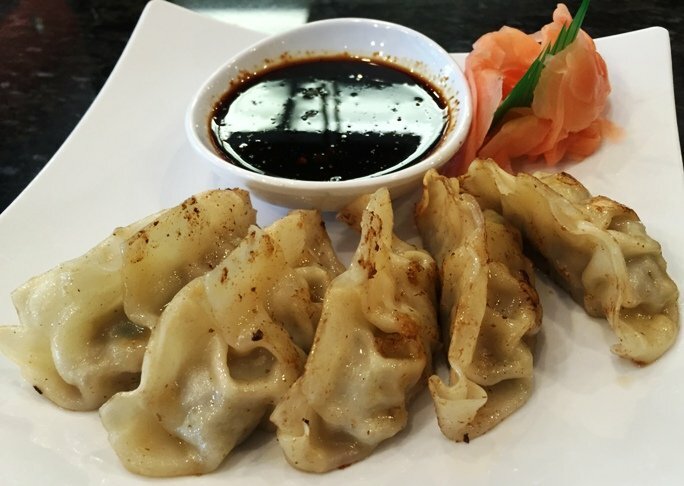 In addition to the broth, noodles, egg and pork belly, Tonbo adds in three dumplings which totally makes it a meal. I wasn’t blown away by the broth, though. 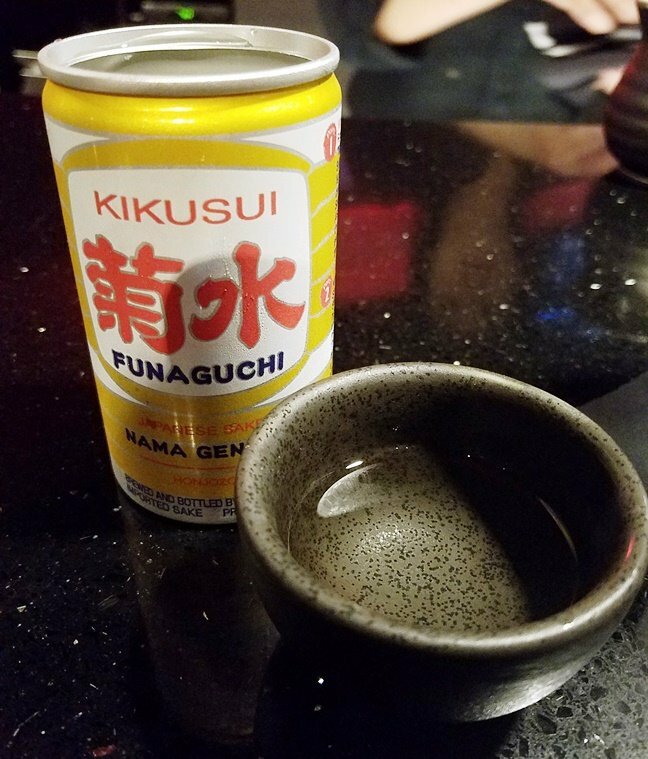 It didn’t seem to have the depth and mouth-feel that I usually get from a rich tonkotsu broth. I also tried the mazemen at Tonbo which is a dry ramen. 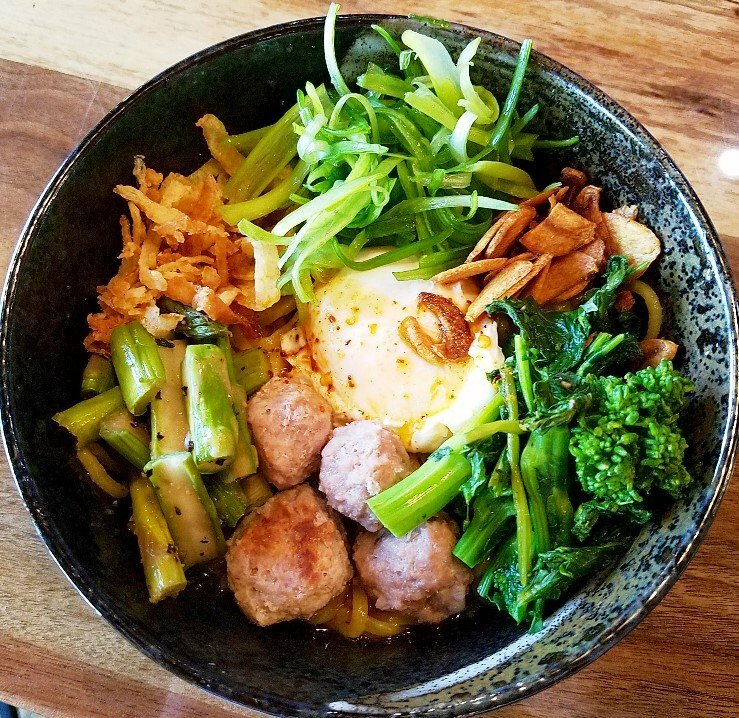 It’s pretty much a noodle bowl lightly coated with chili oil and served up with pork meatballs, fried garlic and onion along with scallions and greens. A wonderful bowl of noodles and definitely different from what I usually get at a ramen house. There’s just a bit of heat on the noodles along with a nice variety of proteins and crunch in this meal, thumbs up here! 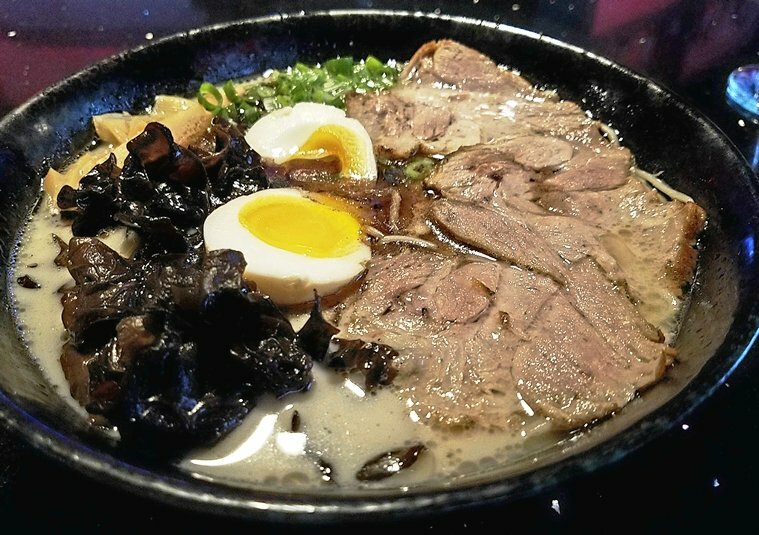 Service at Tonbo Ramen was decent for all three of my visits, they are still fairly new so I would think that it has room to improve. 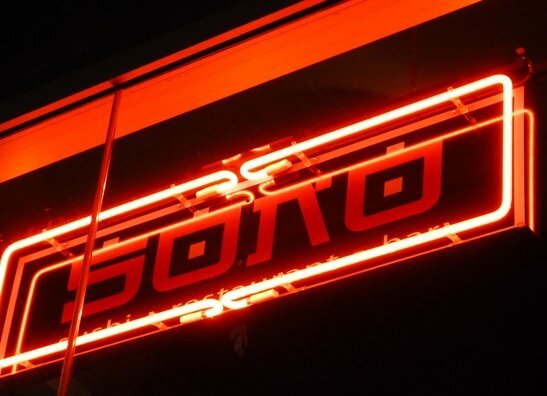 And while I still think Sono has the best ramen in Raleigh, I do like what Tonbo Ramen is trying to do and how it feels. 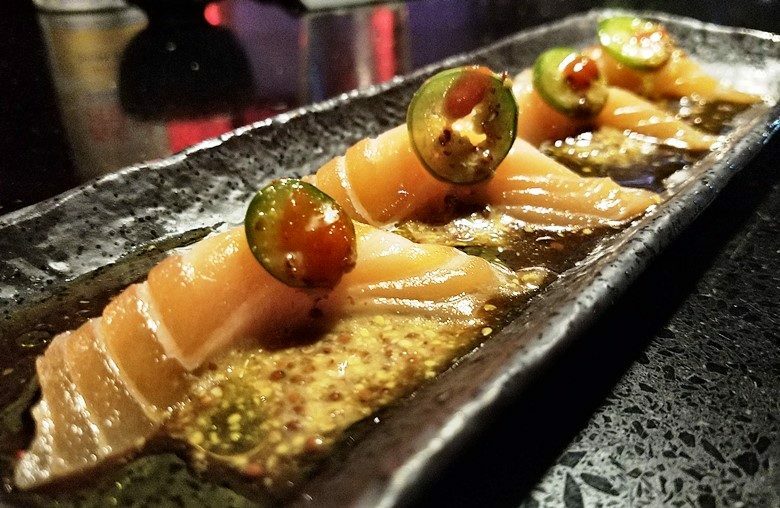 The space is really beautiful and well-designed while the menu certainly holds its own, offering not only the soups, but savory small plates upstairs in the izakaya. In the end, Tonbo Ramen offers up pretty decent food at a excellent price in great environs which gets my stamp of approval. It’s definitely a solid 4-star effort for me with more upside potential if they lock down that ramen broth. 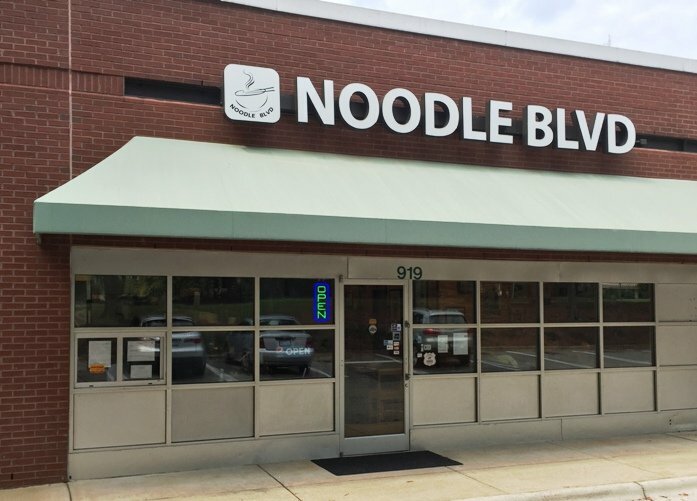 Because when you’ve got ramen in your name, you gotta deliver on that soup! If you’re a food-lover, it’s always great to get tips and recommendations from your network. 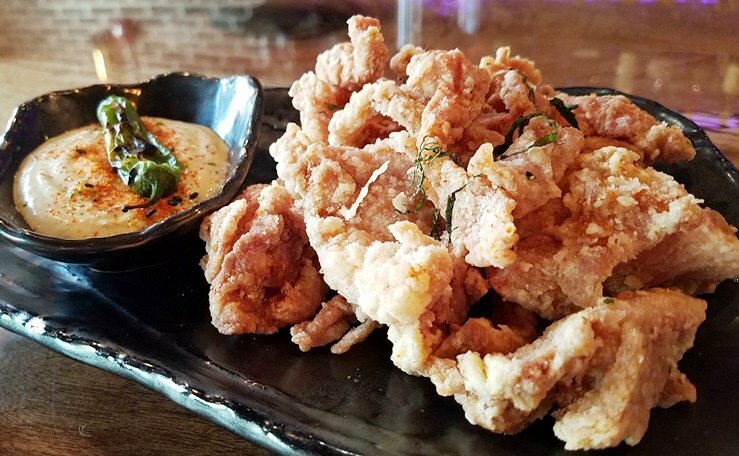 On a recent trip to Charlotte, we’re heading back and looking for a bite to eat. My friend Art (@ruwandering), tells me about a ramen shop he heard about downtown through his friends. So yes, off we go to find Futo Buta and a good bowl of ramen in the Queen City! Be aware that Futo Buta is in a tricky and hard to find spot. While the address says Bland Street, there wasn’t much (any?) parking there and regardless of where you park, you’ll have to hoof it over a bit. I ended up on South Boulevard at a meter which is pretty close. 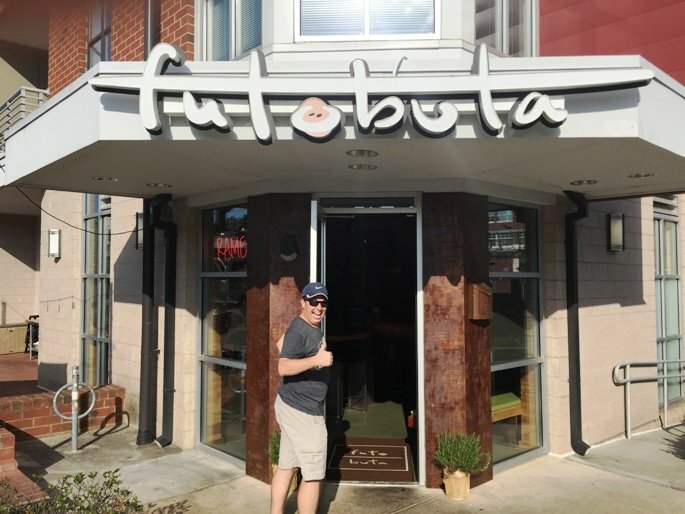 Out front, Futo Buta has a small sidewalk patio and corner entrance. The inside of Futo Buta is really nicely done. 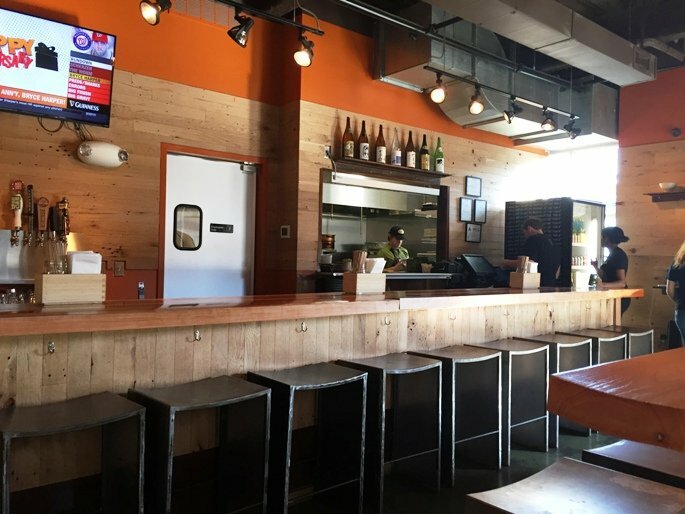 A classic ramen bar, communal table with high-top seating (interesting Japanese influenced, metal chairs) along with some small 2-tops. 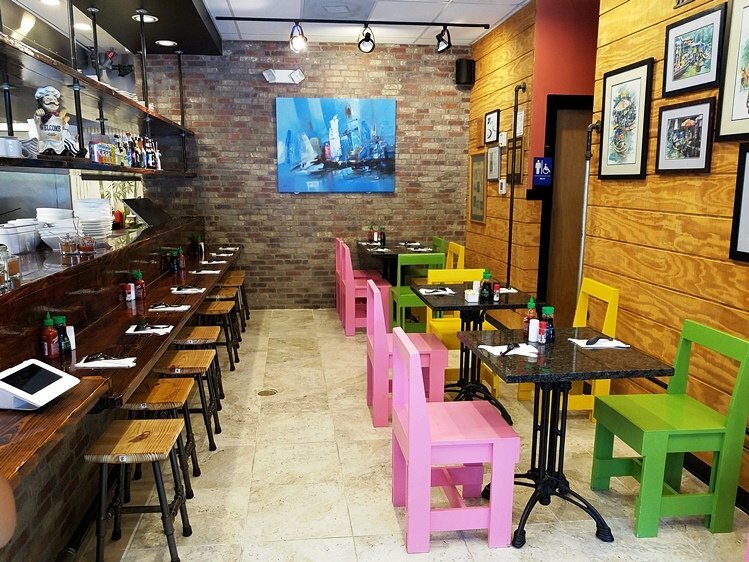 It has the feel of an izakaya but dotted with kitschy little touches. 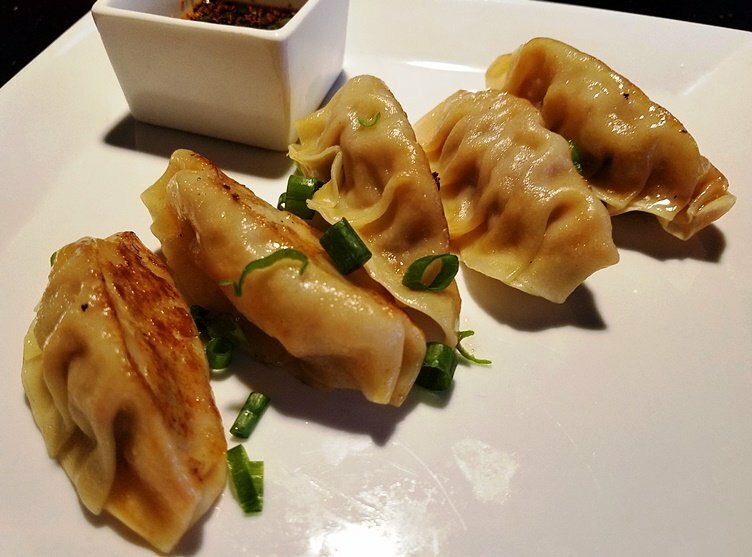 The menu is pretty short with a handful of small plates, buns and six ramen bowls. 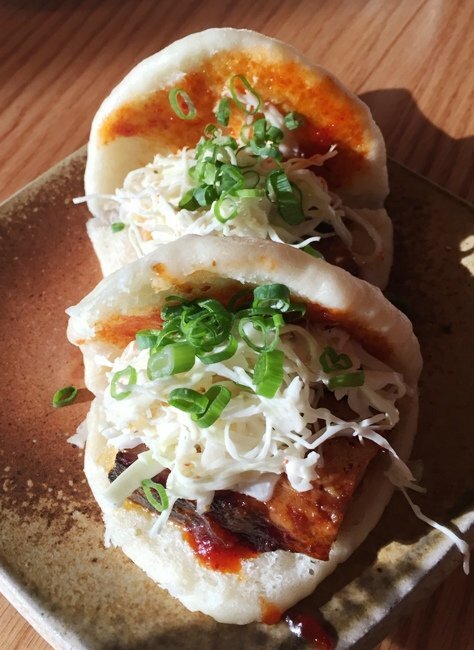 I go for my favorites: some pork belly buns along with shoyu ramen! The servers at Futo Buta are pretty young but well-trained, working in a team service. Our starters show up, some grilled brussel sprouts along with my buns. 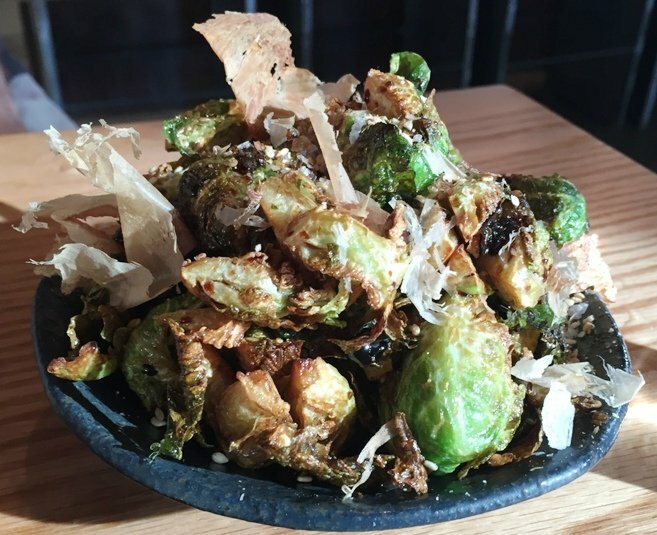 The sprouts look great, seared nicely with large bonito flakes (smoked tuna) scattered on top for extra flavor. 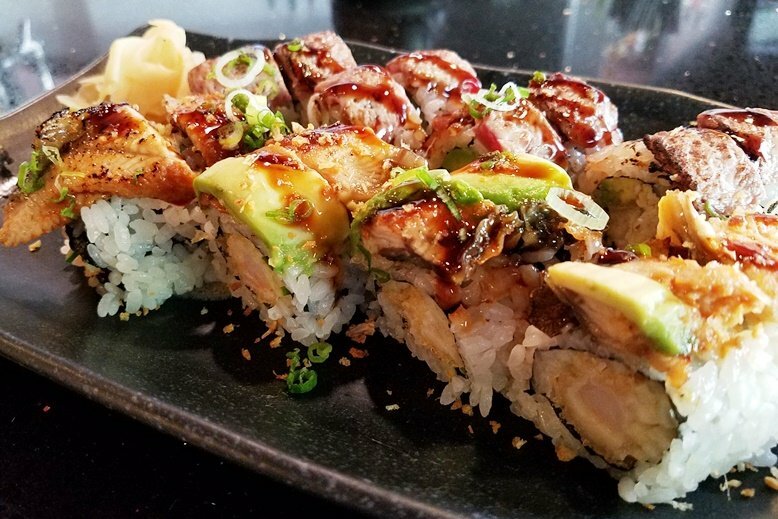 It’s a good portion but thankfully, pretty healthy. I get two pork belly buns that are well-steamed and presented with a thick, slice of belly along with some finely shredded slaw. Some scallions and a slightly spicy gochujang bbq sauce is smeared on the bun. It’s a subtle and lighter presentation for a pork belly bun, nicely done! Our bowls of ramen show up next and they are lovingly served up in conical earthenware with a small plastic broth spoon. A jar of chopsticks sit on the table at the ready for the meal. Peering into my bowl I’ve got some nicely browned broth, along with 2 or 3 slices of pork, half an egg and some other greens (seaweed, bamboo, spring onion). The noodles are toothsome and the broth has some good depth to it without being salty, excellent. 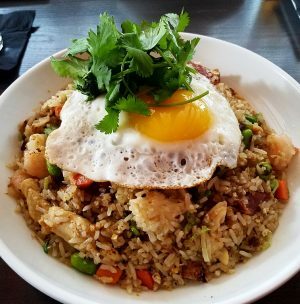 Digging around the bowl, there’s a lot of flavor and textures going on here and it’s a tasty meal! And at $12, plenty of food for the price. Noodling on Some Great Asian Soup for Winter! Now that winter is upon us, who isn’t up for a bowl of warm soup? And while chicken noodle soup is always a favorite of mine, have you ever tried some popular international soups like pho, ramen and more? 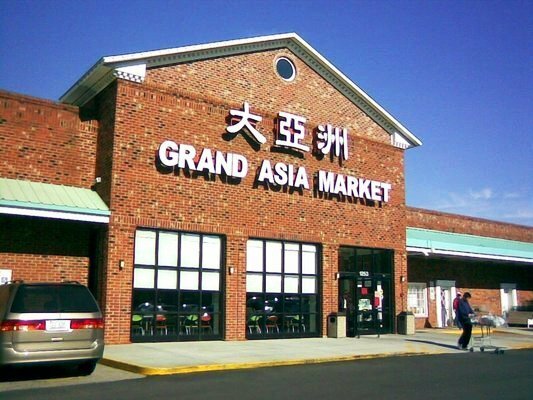 Well my friend, you’ve got some great ethnic soup options in the area so if you’re ready to slurp and chow down with some chopsticks. 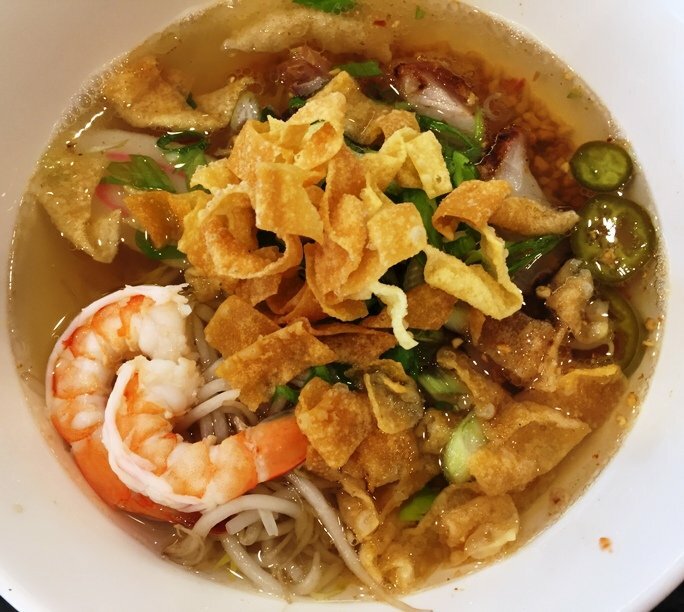 Let’s check out some of my favorite noodle soups: Chinese beef noodle soup, Japanese ramen and the ever popular, Vietnamese pho! 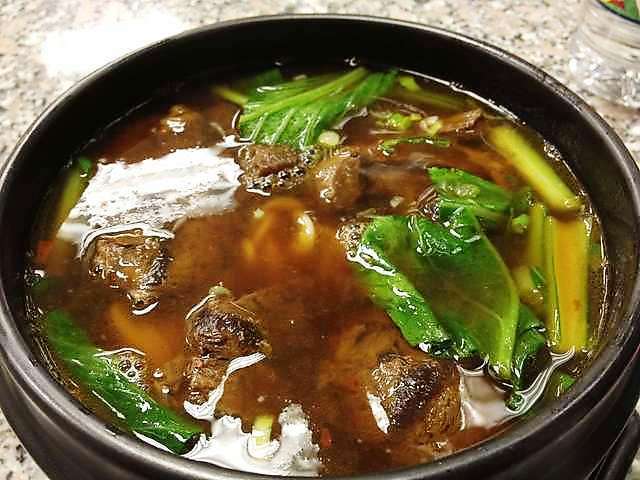 Chinese beef noodle soup is a popular cold weather dish that my mom would make from time to time and I’ve even been able to replicate the dish at home. It’s a basic beef broth spiced up with anise, soy, chiles and more. An inexpensive beef cut like chuck or shank is stewed in it for hours to bring it to a tender and soft braise. Served over some thick wheat noodles and some baby greens like bok choy, it’s a heart-warming meal full of textures and flavor. 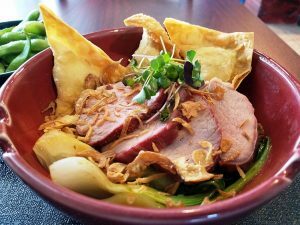 It’s not a common dish on menus in the Triangle but the one place you can order it is at Grand Asia Market where it’s served in a thick, steaming ceramic bowl. 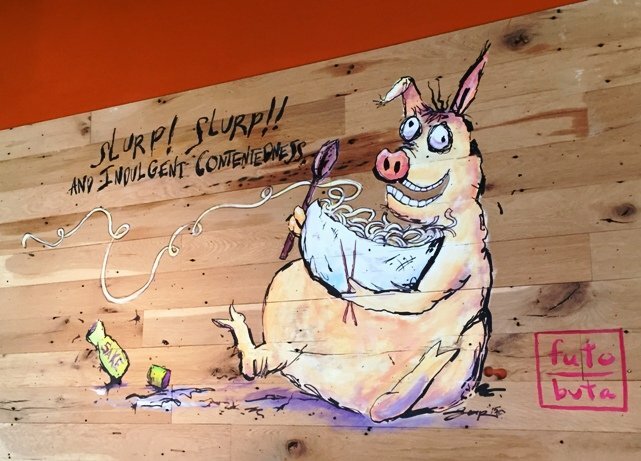 Just beware that it’s a bit messy as you slurp, don’t wear a white shirt if you’re ordering this noodle bowl! 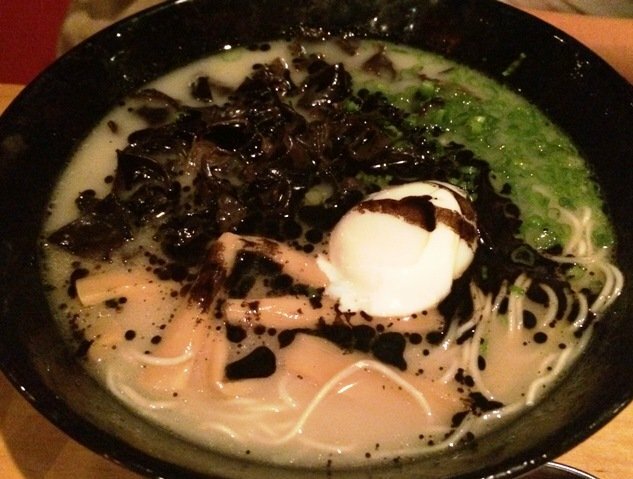 Another favorite Asian noodle soup is the well-known Japanese ramen! 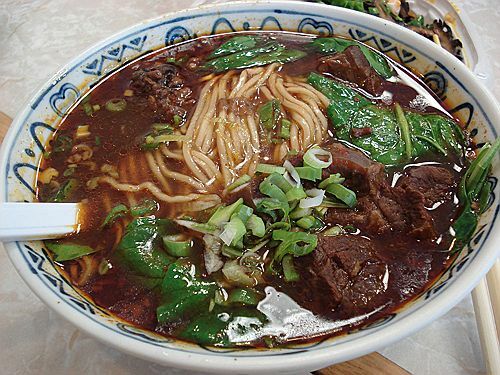 In major cities, ramen is a popular dining option with ramen noodle houses springing up on the landscape. I even got the chance to try one of the best in the country, Ippudo located in NYC. But out in the Triangle you’ve got very limited options. 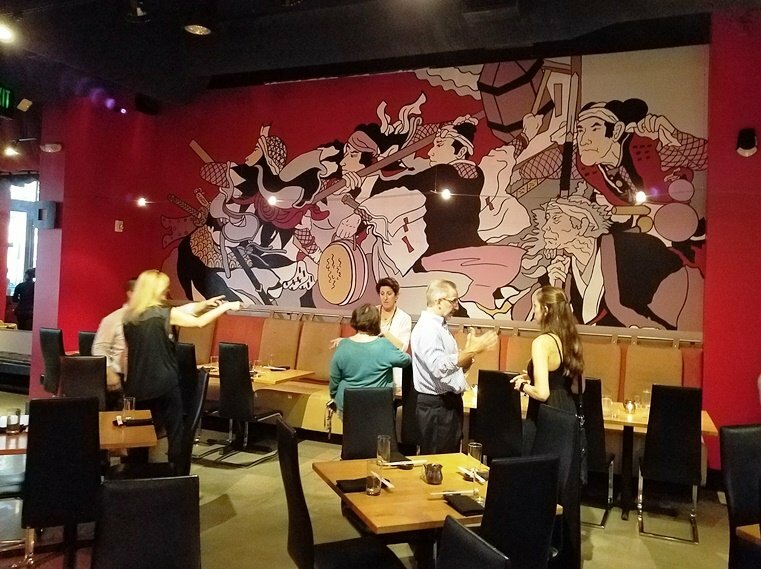 Currently Sono in Raleigh has it on their menu and the recently opened Dashi in Durham is dedicated to ramen and online reviews have been decent. 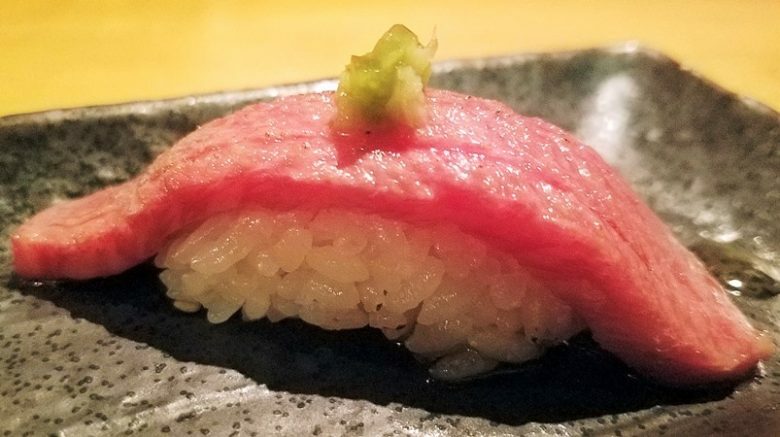 And I do know that several other old-school Japanese/sushi restaurants may have it on the menu like Kashin in Cary. 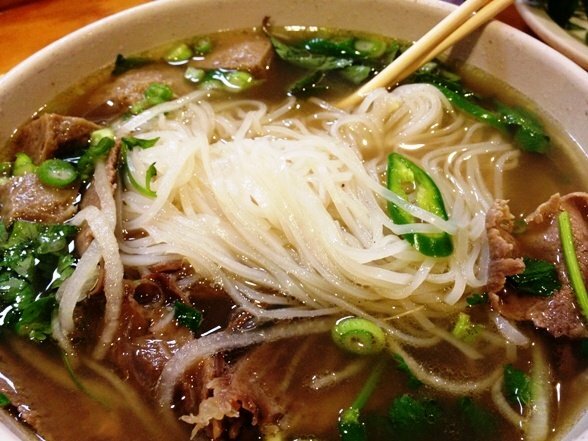 One of my favorite healthy soups is the popular Vietnamese pho which is thankfully, easier to find in this area! 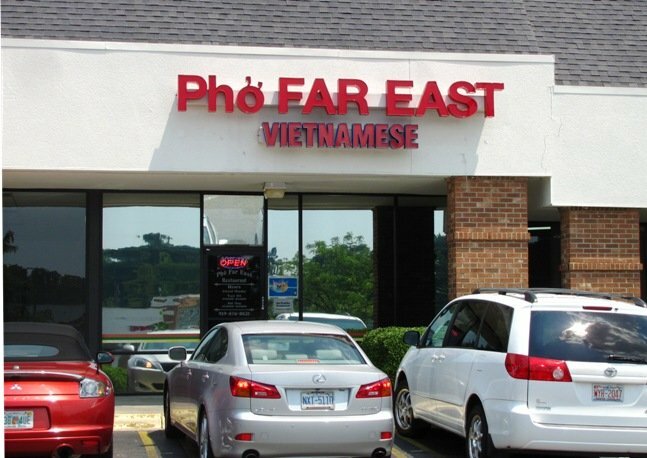 Probably my favorite spot for pho is Pho Far East up on Capital Boulevard. 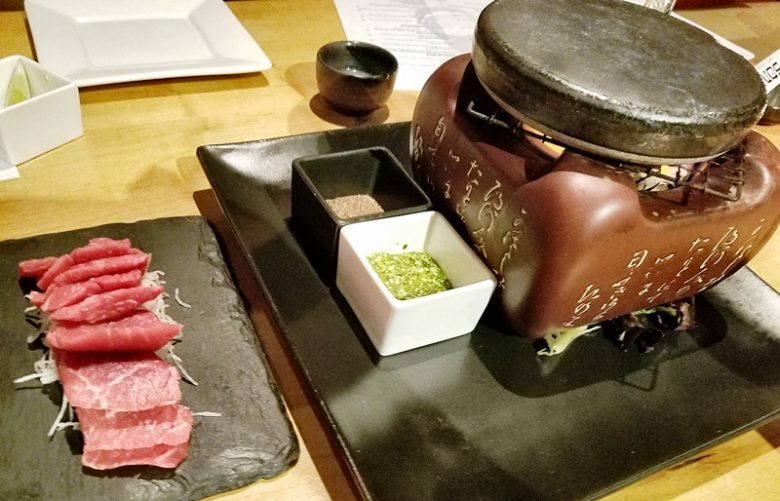 Choose from 6 or 8 different types of beef pho which means different cuts of meat ranging from brisket, flank, ribeye, tendons, meatballs and more. Pho Far East also does chicken and seafood pho but I consider those options to be a bit untraditional.